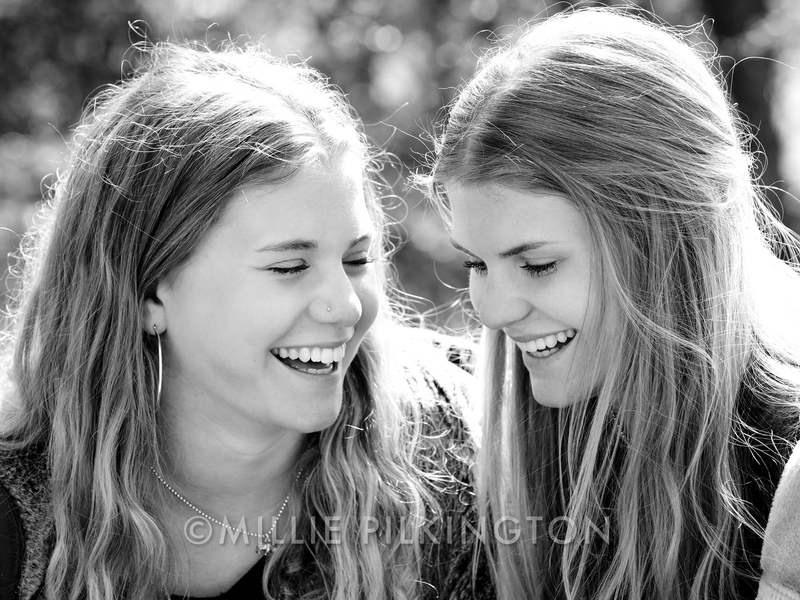 As a mother of three daughters myself, I love photographing girls. There was something so special about these two sisters (aside from both being naturally beautiful and photogenic). A combination of their contagiously happy spirit, gentle confidence, humility, kindness, and deep routed love for each other. Whilst I captured a variety of stunning portraits of the two of them together (and individually), this image epitomises their relationship. The subjects don’t have to be looking into the your eye to capture your attention – a moment can be every bit as powerful. This was a moment for me. Nothing like photographing a baby in water. In fact, I think ‘splash’ might be one of the first words babies learn. This kitchen sink was ideal for a fun portrait – lovely uncluttered background and large windows letting in lots of natural light. 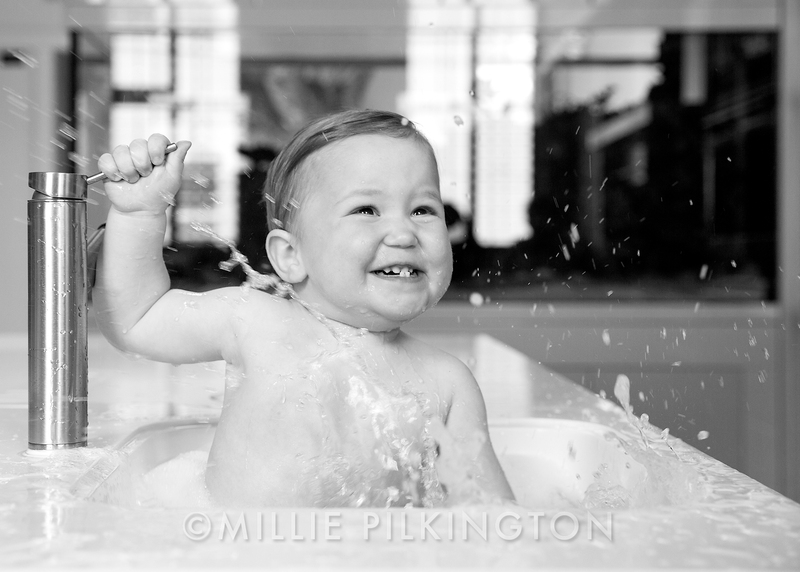 He created quite a mess in a matter of seconds – this was one of his ‘milder’ splashes. So needless to say we got quite wet. But it was worth it. 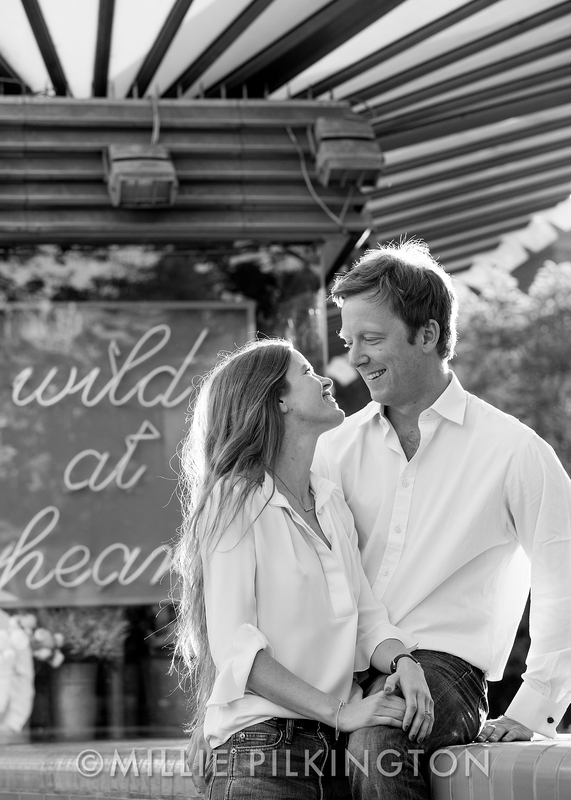 I had such fun on this informal engagement shoot walking the streets of Notting Hill. We had more or less finished our shoot and were wandering back to their flat when we passed this florist’s shop. The striped roof and diagonal wall instantly caught my eye, the light streaming in towards me provided a fabulous backlight glow, but the icing on the cake was the shop name: “Wild at Heart”. We literally only had a handful of minutes but this is one of my favourite images from our shoot. One of those rare moments when all the elements come together and provide you with an instant gem of a photograph. Rather like Kate and Fred, this was quite simply ‘meant to be’. Really looking forward to photographing their wedding in a few weeks time. 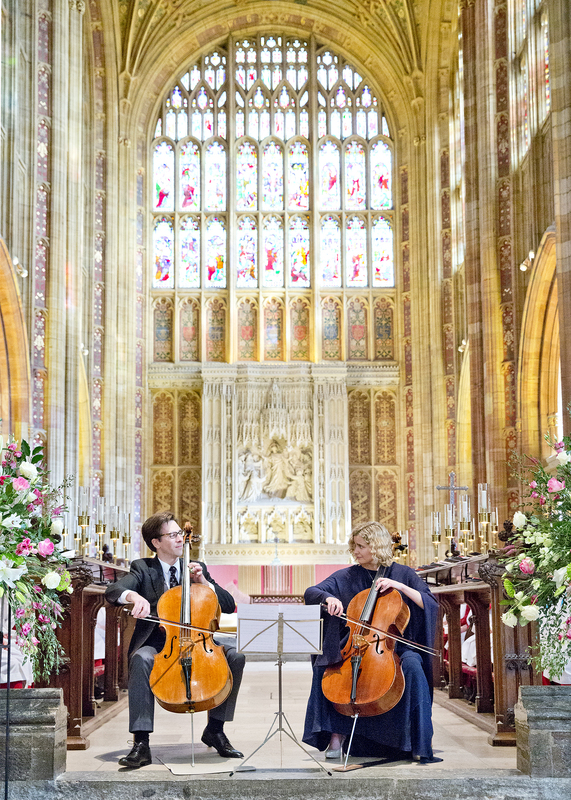 Thanks you to the Times for featuring my photo of this wonderful inspiring couple, playing in Ali’s brother’s wedding at Sherborne Abbey last November. 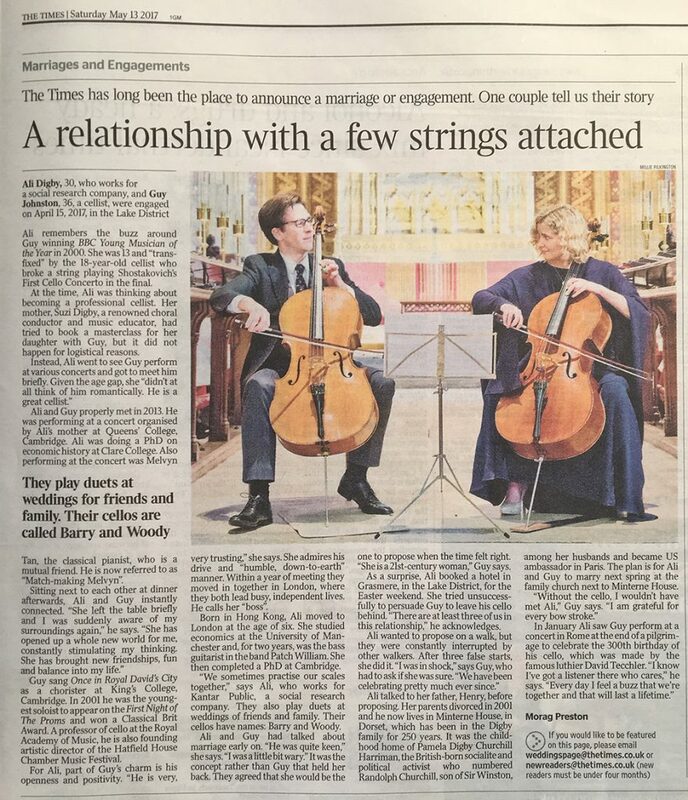 Huge congratulations to Ali & Guy on their engagement. 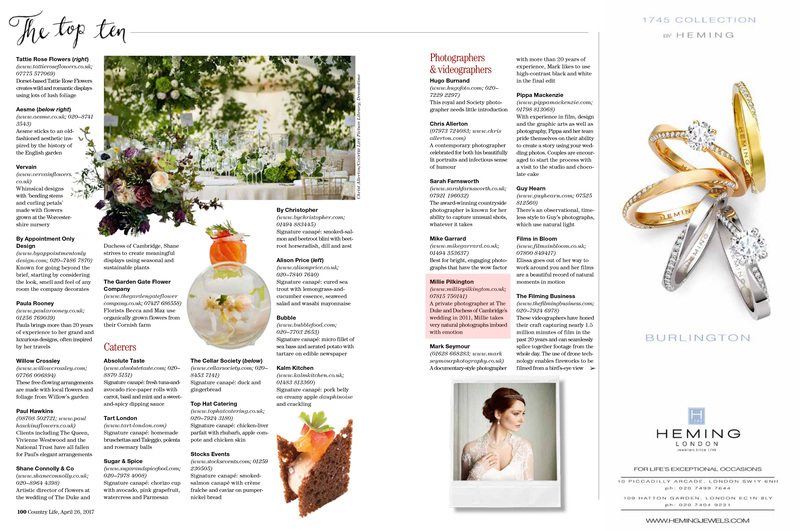 Thank you @CountryLifeMagazine for featuring me in their Top 10 Wedding Photographers in their Guide to Weddings, included in 26th April 2016 edition. #honoured! Lovely to return almost 3 years after her wedding, to photograph the beautiful Lady Natasha Rufus Isaacs with her stunning daughter Georgia, both donning dresses from Natasha’s fashion range Beulah. 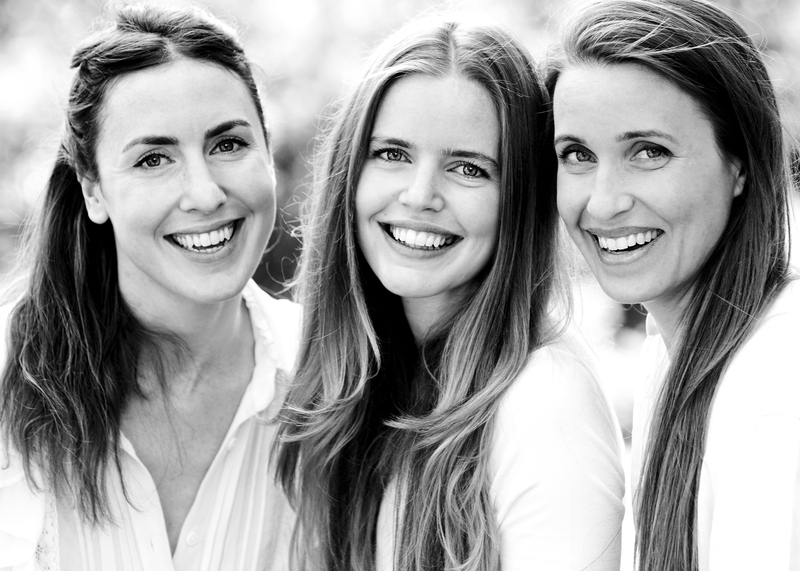 Founded in 2010 by Natasha along with Lavinia Brennan, Beulah London was born out of a desire to design and produce beautiful clothes that empower and inspire the women who wear them, whilst being committed to raising awareness of the plight of women trapped by human slavery. This luxury fashion brand with a social conscience has inspired some of the world’s most influential women to wear the label, including the Duchess of Cambridge. Wishing them all the success in their journey. Very honoured to have met and photographing this inspiring young lady – Sophie Montagne. As covered recently on the BBC news, Sophie is part of the first all female team attempting to cross Antartica later in November this year. The team has just returned from 3 weeks training in the Norwegian Wilderness, where they have skied 463km and climbed over 6000m, pulling 50kg behind them (about 75% of their bodyweight). In November, their 3 month journey will be cover 1,700km during which they will be battling temperatures of -50C with wind speeds over 60mph. Some feat. Follow them on twitter @exicemaiden. As I peer out of my kitchen window today, it’s raining ‘sideways’ and last November’s sunny day photographing this wonderful family in Gloucestershire already seems a life time ago. Where does time go? 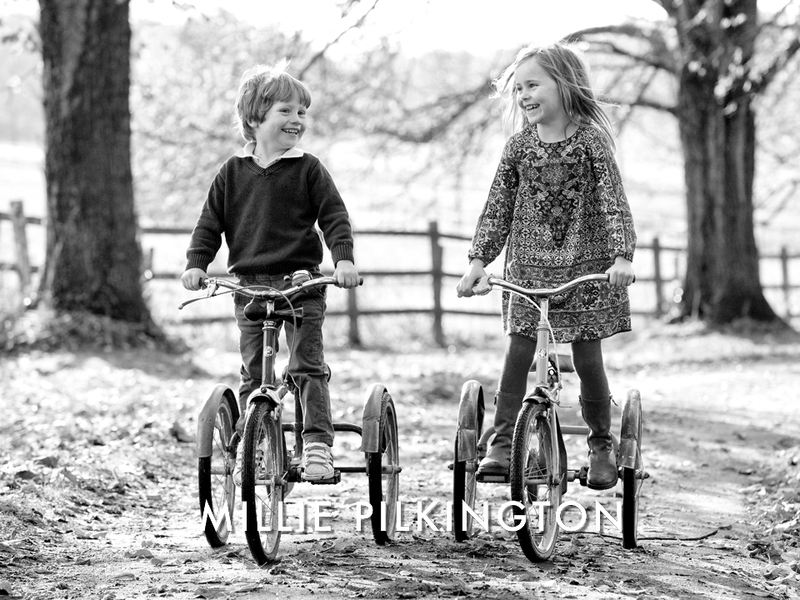 I love this portrait of these two siblings on their cherished trikes. All the elements work perfectly – framed between two trees, lovely backlight making them stand out from the background, and both giggling in anticipation of the race! A moment of magic. At 90 years of age HM The Queen has been reigning over us now for 65 years and is still carrying on strong. She is a true inspiration to us all. 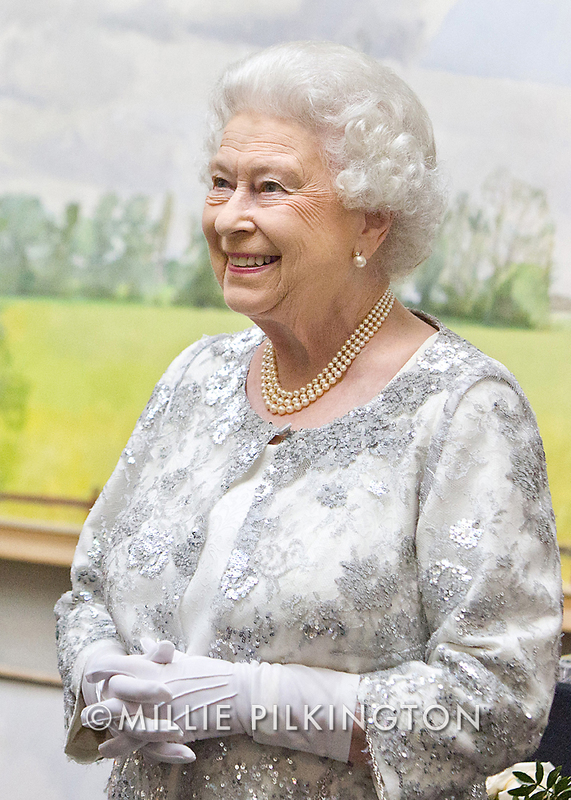 Thank you Your Majesty for all that you have done, and continue to do, for our country and commonwealth. I am feeling immensely privileged to have met and photographed HM The Queen on a few occasions. When attending a course in portrait photography at the Royal Kensington and Chelsea College, we were asked by our tutor to consider how we would measure success – would it be financial, how many people we recruit, books published, recognition, awards, exhibitions etc? I suspect that financial needs have driven most of my achievements, but photographing HM the Queen is an honour that’s going to be hard to beat! I took this portrait earlier this year, on a swelteringly hot day in May. It’s hard, on a dark rainy and cold winter’s night, ever to imagine being hot again! Along with many other portraits I took during our shoot, this has been kept under wraps until their father’s birthday last Saturday. Happy Birthday Peter! I wanted to share this photograph as I feel it captures their intimacy, humour and beauty… Something I strive to capture in family & sibling portraiture. With three daughters of my own, I can but hope that they will be as loving and fond of each other as these three sisters.